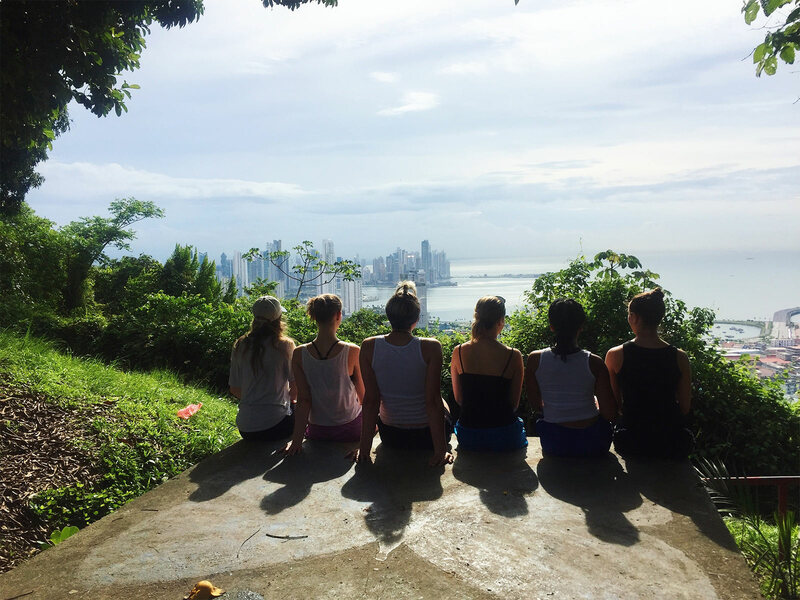 Today was our group’s first full day in Panama! We got up pretty early but it was all worth it to go on a hike and see all of Panama City. We even had the opportunity to speak with a Panamian officer. He shared a small piece of history about Panama which helped us open our minds to the incredible culture of Panama and learn about the obstacles it’s people have overcome. We also had our first day at the Malambo Orphanage! My group had the younger kids and it was a bit difficult at first to keep their attention on us but the parts where they were engaged made it all worth it! There was a time that we let them guide the movement as we followed and they seemed to love that. My group was also happily surprised that after reviewing some body parts in English they were able to sing “head, shoulders, knees, and toes” with us!! I look forward to teaching the Malambo girls again tomorrow. On the bus ride home we shared some of our highs and lows along with answering some other questions. I especially loved hearing from everyone about their reasons for coming on the trip and how they feel about dance right now. It gave me a lot to think about and reflect on. I appreciated everyone for opening up and I am so excited to spend the rest of the week with these awesome Movement Exchange members! P.s. Pictured is the lovely Shirley who gave me a hair makeover at Malambo! The other one is a few of us on our hike!